Car insurance could grow more transparent. A startup insurance marketplace backed by entrepreneur Mark Cuban has unveiled a tool to help drivers better understand why they’re paying what they pay for auto insurance. Well, The Zebra, the startup car insurance marketplace, just introduced a new tool called an insurability score to face folks with the cold hard facts of their truly terrible driving. The three-digit scores that reflect a person’s history with loans and credit cards were once secret and known only by financial institutions that used them to assess potential borrowers. However, since being introduced 28 years ago, they’ve become widely available for free to consumers either through Credit Karma or, more recently, through consumers’ own credit cards. While The Zebra won’t provide consumers with the exact score that insurance companies use, it will use a lot of the same information to generate a score that helps consumers understand their risk level. 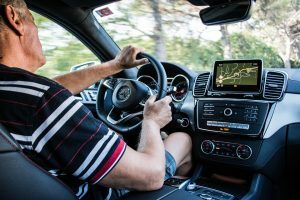 Insurance companies are typically looking at a score that takes into account a person’s credit history, as well as driving record, in order to help predict how likely a person is to be in an accident or file an insurance claim. (Insurance companies are prohibited from using credit scores to set prices in California, Hawaii and Massachusetts). The Zebra will break down what factors work in a consumer’s favor (i.e. continuous insurance coverage, paying insurance premiums on time), what they can improve (working on increasing their credit score) and factors outside their control (when a previous car accident will disappear from their record). At Seeman Holtz Property & Casualty, we work hard to make sure you have the best coverage available, at the right price.